Resolved an issue where scan result distances would not be accurate. If players would chose to suppress a pop-up before Insuring their ship and clicked No in the pop-up, they were unable to Insure their ships after that. This has been fixed now. Those players who have done this already can reset the pop-up in the ESC menu, 1st column in the “Reset Settings” tab (reset an option called “Insurance Terms”). Sleeper craft have received much needed sensor upgrades and can now detect and process threats across great distances. They’re watching you. Always. Sleeper reinforcement protocols have been improved to reduce unsightly clustering. Fixed crashing issues when entering fullscreen mode. Several consistency issues have been fixed in the Russian client. Fixed client freezing on the character select screen. Fixed some container positions within the Ruined Serpentis Science Outpost dungeon for accessibility. Fixed capital ship bumping on undock of Amarr Factory Outposts. Drone attributes from the Miscellaneous group were missing when comparing drones in the Compare tool. This has now been fixed. “Launch Drones” is now always the first option in the right-click menu on Drone groups in the drone window. Fix for flickering UI on some machines running DirectX 9 client. A number of consistency fixes were made to the Russian translation. The ESS can no longer be deployed in wormhole space. The ESS now pays out the correct amount of LP when delivered in batches. The Gallente station in the Rogue Drone Asteroid Infestation dungeon has been moved so that the containers are accessible again. Fixed a driver crash on AMD video cards. Fixed a memory leak on Nvidia cards. Updated compressed material blueprints with the correct images. Adjusted the mining laser effect to display correctly from all angles. Restored the textures on the Guardian Battlestation. Adjusted light ring on the Caldari Research Station. Fixed issues generating abnormal station graphics in dungeons. Some of the capital wrecks from the colossal battle of B-R5RB have been pulled into a stable low orbit by the gravity of the nearby planet. CONCORD has established a landmark beacon among the wrecks to commemorate the battle, which is now visible to all capsuleers in the B-R5RB system. Fixed an issue that prevented overloading some module while warping. The Insurance Terms window will now show the correct time left on current insurance (if a ship has one). Auto-salvaging for drones works again. Fixed an issue where containers containing only items with zero volume would not be looted by Mobile Tractor Unit. Fixed issue where characters in FW could not see the show info of non-FW characters. An issue has been resolved whereby, when in Factional Warfare, you couldn’t view show info on non-FW pilots. Freight containers will now correctly be removed during downtime. The war history is now shown in the info window on corporations. Fixed a notification spelling error when accepting war assistance when the offering ally was already in the same war. Standings flags are now again visible in the chat. UI and message strings missing on the German and Japanese clients have now been localized. Mobile Scan Inhibitor – Provides a way to hide ships from probe and directional scanning. Mobile Micro Jump Unit – Launches a ship 100km in its current direction, similar to the Large Micro Jump Drive module. Favors processed materials over raw materials. Steals 110 units of processed materials. Steals 20 units of raw materials. Blueprint available on market, build cost is slightly higher than for existing base version. Steals polymers from Polymer Reactor Arrays. Steal amount is 50% of batch size. Blueprint available on market, build cost is same as for the existing base version. Affects NPC bounty payouts in system it is deployed in. Four variations, one for each race. The racial variations are all statistically the same. The ESS is sold directly from empire navy stations (so the Gallente Encounter Surveillance System is sold in Federation Navy stations, for instance). The ESS is sold for 25 million ISK. Can only be deployed in null sec, max one per system. Cannot be deployed close to stargates, stations or starbases. Can be scooped by player that deployed it. Becomes active after 120 seconds. The ESS has a global beacon, so it is visible to all in system. When a ship comes into proximity of the ESS, a message is broadcast in local notifying this. While active, NPC bounty payments pay out full value, with 80% being paid directly and 20% being stored in a system-wide pool. In addition, for each 1000 bounty ISK you get 0.15 Loyalty Points, these are LPs for the empire navy based the ESS type. The payout can rise over time, the chance is based on activity. The ISK payment rises by 1% at a time and the LP payout by 0.01. It can rise five times, so maximum payout value is 105% of ISK value and 0.2 LPs per 1000 ISK. Destroying, scooping or accessing the ESS resets the payout value. The ESS has an EHP of 250k. There is a warp disruption bubble with a radius of 15 km around the ESS. To get the ISK in the system-wide pool, you need to interact with the ESS. The range to interact with it is 2500 meters. While interacting with the ESS, a warp scramble effect is put on you. When you start to interact you get two choices, Share and Take all. Share has a timer of 30 seconds, Take all has a timer of 210 seconds. If you move out of range (or are destroyed) while interacting, the timer is reset. Once the timer is up, a notification is sent out informing all that contributed to the pool on who accessed it and what option was chosen. The Share option leads to the ISK in the pool being shared amongst those that contributed to the pool, each player receiving ISK equal to what he added to the pool. The Take all option leads to tags dropping in a can. The tags can be turned in at navy stations of the same race as the ESS for ISK. Rather than being able to cloak, the Nestor is bonused for remote repair amount and range, making it the most potent sub-cap logistic ship in EVE. Added new wrecks for Capital Ships. The Crucifier has been redesigned. Station exteriors in New Eden have been renovated. Optimizations and dynamic adjustments for graphics rendering quality. Icon generation no longer dependent on the hardware capabilites of the user. This should translate into a performance increase as icons are not being generated on the fly by the users hardware. Mobile Cynosural Inhibitor can not be activated in high security space. Reduced the base effectiveness of Tracking Disruptors and Sensor Dampeners by 10% to compensate for the ability to overheat. Changed Omnidirectional Tracking Links to an active module that has the same strength as Tracking Computers, can be scripted and overheated. Adjusted the shield recharge rates of all drones to correctly reflect their size. C3-FTM Acid – increased 50x from 2 to 100. Carbon-86 Epoxy Resin – increased 20x from 8 to 160. Graphene Nanoribbons – increased 4x from 30 to 120. Lanthanum Metallofullerene – increased 2x from 60 to 120. Methanofullerene – increased 2x from 80 to 160. Scandium Metallofullerene – increased 4x from 40 to 160. These materials' use in blueprints have all been increased by the same multiplier. The volumes have all been reduced by the same multiplier. All player stockpiles have had their quantities increased by the relevant multiplier. Reduced the prerequisites of the Thermodynamics skill from Power Grid Upgrades 5 to 4. NPC bounty payments in null sec reduced reduced by 5%. All options related to the tracking camera are accessible via a radial menu button on your HUD (the old "reset camera" button). The HUD button lights up to indicate when the tracking camera is enabled and the icon indicates which mode the camera is in (tracking custom position, tracking center or normal camera). The tracking speed of the tracking camera is independent of the client framerate. The tracking camera defaults to off for new characters and fresh client installs. The tracking camera speed was significantly increased. The tracking camera plays nice with Look at. You can open a "Member edit" window for a character even though one is already open (the new window replaces the old one). When creating a contract, the "Private" checkbox gets checked automatically when a name is typed/added in the "Private" field. You can cancel your own market orders from the "Details" tab in the market. You can bind a shortcut key to open the Fitting Management window. Modules in the Fitting Management window have faction/tech icons and can be dragged and dropped to create links. Hitting the return key in the Fitting Management search input field executes the search. The insurance window for a ship is accessible from its right-click context menu. Additionally, the insurance window has more information on the ship, such as name, type, icon and current insurance status. The insurance terms window that pops up when you want to insure your ship can be suppressed. You can drag items from the Variations tab in the information window to create links or populate the comparison window with items. You have access to the starmap search from the Route information panel. This makes it easier to find your destination without having to open up the starmap. The attributes in a drone's information window are properly categorized, similar to ship attributes. Damage resistance attributes for ships and drones in the information window are displayed with bars grouped together in a single entry, similar to how they are displayed in the fitting window. The basic tutorial has been revamped for a smoother, simpler and more informative experience. Multiple content defects have been resolved. Numerous changes to the Russian terminology have been implemented. The EULA is now available in German for information purposes only. Added new localized text to the tutorial and re-localized the beginner tutorial in regards of consistency and accessibility for new players. Several mistranslations and missing translations of weapons, ship categories and other tech have been correctly translated into German, mainly within the ship descriptions. A full list can be viewed in the official German forums (https://forums.eveonline.com/default.aspx?g=posts&m=4090385#post4090385). In JA client, new localized text added to Tutorial to guide new players to the localized help channel. Defect fixes have been implemented throughout the Japanese client. When a ship is added to space due to a player logging in, the ship will enter its emergency-warp instantly, rather than having to align from a stationary state. Fixed the Miasmos Amastris Edition description to properly refer to the Miasmos as its base variation instead of the Iteron IV. Lowered cloak reactivation delay on Astero, Stratios and Stratios Emergency Responder to 15 seconds Added Hull Tanking, Elite certificate item to the market. Fixing virus strength bonus on Nestor. Adding bill of materials tab to Nestor blueprint. Fixed the "Industrial Drones" certificate to have Drones at level4 instead of 1 in its first levels. Removed ship maintenance array from Nestor. Salvage drones can no longer be sent outside the maximum drone control range. The Templis Dragonaurs corporation description no longer shares super secret things. Changed the Bastion module to allow for a possible maximum of 13 targets instead of 10 to account for the possible use of Auto Targeting System modules. Phoenix bonus to rate of fire now correctly applies to only citadel launchers. Changed Bastion Module I description to make it clear that energy warfare effects still work while Bastion is active. Fixed problem with Mobile Tractor Unit where trying to loot a container or wreck with a container inside would fail and stop further looting. Fix for the Planetary Interaction certificate having a spelling error. NPC'S should not drop Ballistic Control System I. Fixed incorrect Bastion Blueprint name from "Bastion Mode I Blueprint" to "Bastion Module I Blueprint". The mass of Brynn's Modified 425mm Railgun has been changed to 2,000.00 kg. Changed Drone Navigation Computer and Omnidirectional Tracking Link item descriptions to mention they do not work on fighters or fighter-bombers. Canceling module repair on a group of linked modules was previously only canceling repair on the first module. Fixed so that the jet-can with the item to retrieve is now not in the station model and you can now fly to it easy. The maximum velocity of FW empire NPC Destroyers is now in line with similar NPC Destroyers. Renamed Roineron Aviviere's Iteron so that it is an Epithal. Drones that are set to aggressive will no longer perform automatic actions against a target if those actions would trigger a new Limited Engagement, unless explicitly instructed to engage that target. Fixed a rare issue where Auto-Targeting Missiles could sometimes bypass the crimewatch safety setttings. Standardized the names of blueprints for Navy Armor Resistance Plating – to bring them in line with the modules they produce. Fixed an issue where a ship that is activating smartbombs whilst attempting to jump to a cynosural beacon could get stuck in the jump transition effect. Cargo containers will no longer disappear when the following overview filters for Same Alliance or Excellent/High/Neutral/Bad/Terrible/No standing get checked. The jettison option has been removed from various deployable structures that have a cargo hold. These items are only launched into space. Name of Production Efficiency skill changed to Material Efficiency. Fixed issue where containers with only items with zero volume would not be looted by Mobile Tractor Unit. Added a radius to the Nestor. Fixed an issue displaying incorrect pod graphic at low LoD. Resolved issues where players perceived their ship as being shot at when another ship was shooting something else. Resolved Wormhole animations being incorrectly triggered by player warps. Fixed the turret locators on the Federation Navy Comet to correctly accommodate its high slot configuration. Corrected a ship geometry camera spawn issue on session changes. Fixed an issue where the back button functionality would not work correctly in localized clients (JP, DE and RU). Angel Hideaway was being distributed in blood raider space and was missing in low sec Angel space distributions. Fixed description in mission "Thwarting the Succession" so that it's now clear you are only supposed to murder everyone in sight, not bring anything or anyone back alive. Character creation: Randomizing the shape is now updating the customization history correctly. Changed the name of the "Sanctuary Stratios Blueprint" to "Stratios Emergency Responder Blueprint". Fixed a memory leak in in-game logging via monitor. The fleet icon in chat channel member lists is now updating reliably. Resolved an issue with manually-controlled starbase weapons where attempting to lock a target would sometimes fail. Fixing issue where unloading charges from module into container or mobile depot would move a stack from the ship cargo as well and merge into one. When you have "Ships" and "Items" merged into the Station Panel and switch from the Offices tab to either of those tabs the office related buttons are no longer displayed there incorrectly. Removed some double-spaces in the Catalyst and all its limited edition variations descriptions. The mobile structure activation cycle is now filling up rather than emptying. The primary radial menu action for stations is now to dock at the station. Redeemable items on the character select screen are now ordered so that items with an expiration time are now displayed at the front of the list. Fixing typos in the Nestor description. Fixed the Capital Industrial ship group to show proper icons in the ISIS. Adding Shaqil's modified Rapid Heavy Missile Launcher to the market. Fixed issue where activation timer UI could brake due to incorrect time handling. Tooltips for propulsion modules are now updated correctly when the module is overheated or modified by warfare links. The ISIS boundaries and center location can now be altered via the "Camera Center" setting in the ESC menu. Fixed a rare instance where it was not possible to close the ISIS. Fixed an issue where the Training Queue window would display incorrectly if stacked with another window. The debug text for the keyboard shortcut in the ESC menu has been replaced with the "Open ISIS" label. The credits have been updated to reflect changes within CCP. The TAB button while in the ISIS without any window in focus will now correctly collapse or expand all windows. Renamed the Capital Energy Emission Systems skill to Capital Capacitor Emission Systems. It is no longer possible to delete a market quickbar folder accidentally by dragging and dropping. The lowercase letter in "Em" has been changed to "EM" for all Energized EM Plating modules. Fixed issue where deployable activation timer bracket text would stick when as timer ran out. You can now see the custom names of your mobile structures while inside a container. You will be unable to make a kill right available to all when attempting to select a specific individual/corporation/alliance. 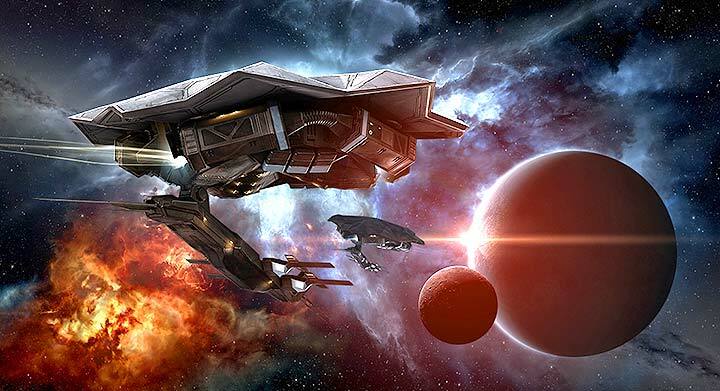 EVE Online – Rubicon 1.1 – Eve News24 <Liked it! for his website, because here every material is quality based stuff. Hi there very cool site!! Guy .. Excellent .. Superb .. I’ll bookmark your blog and take the feeds additionally? we need develop more strategies in this regard, thank you for sharing. this site and be up to date everyday. stunned why this twist of fate did not came about in advance! I’ve been exploring for a bit for any high quality articles or blog posts on this sort of house . web site, for the reason that i want enjoyment, since this this site conations truly nice funny material too. my very own website and would like to learn where you got this from or just what the theme is named. enjoyment, as this this site conations really pleasant funny stuff too. upon your website and in accession capital to claim that I acquire actually enjoyed account your blog posts. Anyway I’ll be subscribing for your augment or even I fulfillment you get right of entry to persistently rapidly. Leave a Reply to Matt Linklater Click here to cancel reply.